Per Tate Martell‘s twitter page (@TheTateMartell), Martell will be joining his Bishop Gorman (Las Vegas) teammates, Bubba Bolden, and Brevin Jordan at The University of Miami. On January 5th, quarterback Justin Fields, the number one overall recruit in the 2018 class will be transferring from Georgia to join the Buckeyes. It’s still up in the air if Fields will be granted eligibility to play in the 2019 season due to NCAA transfer rules. With the departure of Heisman trophy candidate Dwayne Haskins, it was presumed that Martell would finally get his shot to lead the Buckeyes. Martell was very vocal about the arrival of Fields. With all this being said, Eleven Warriors an Ohio State centered news site reported on January 10th that Martell’s name was in the transfer portal. The reports were that Martell narrowed his decision to Miami, West Virginia, and Louisville. Martell is a former four-star recruit from the 2017 class and the number two dual-threat quarterback. Martell, red-shirted his first year then served as the back-up for the Buckeyes this past season. Martell was originally committed to play at Washington before he decided to commit to Texas A&M. He then de-committed to play at Ohio State. With this news, this will be the 4th power-five school Martell has committed to play at. Martell will have to sit out the 2019 season due to NCAA transfer rules but will be eligible to play in his red-shirt junior year in 2020. As an Ohio State fan and student, this news is kind of disappointing. 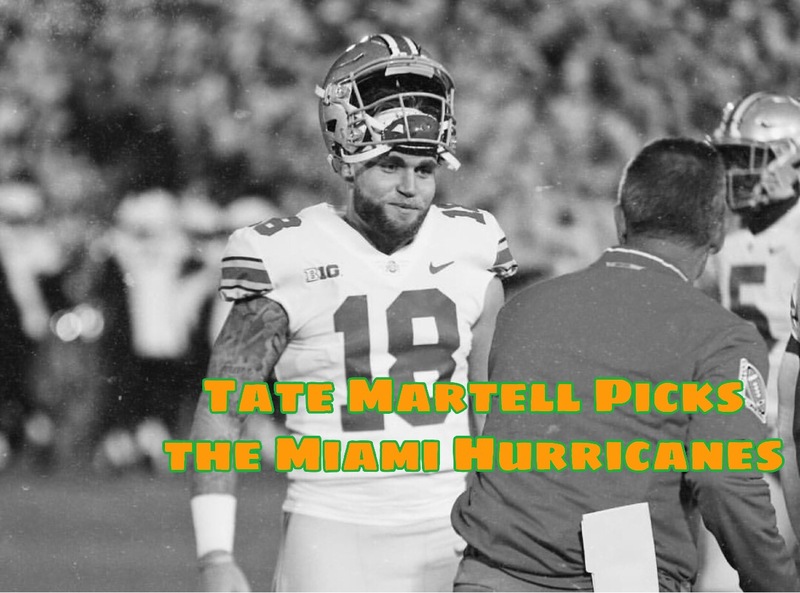 Martell fits the system perfect, a running quarterback who is also your main play-maker. Time will tell if Ryan Day tends to lean more towards a pocket-passing system. Martell is perfect for Miami in my opinion. he has a colorful personality and will thrive in a big, fun city like Miami. If I am guessing here, Martell got word that Fields will be granted eligibility and decided to go find somewhere to showcase his talents. Fields filed a claim to the NCAA that he is leaving Georgia due to a racist incident that happened during a game where a Georgia baseball player referred to Fields as a racial slur. 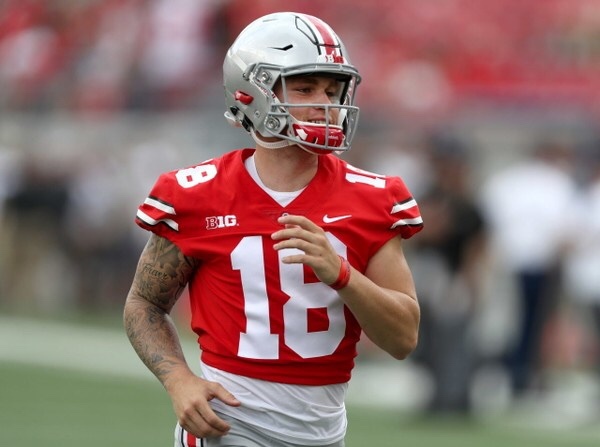 If Fields isn’t granted eligibility, Ohio State is now thin at quarterback depth for the 2019 season. The Transfer rules have always been weird. Coaches can leave programs whenever they want to seek “better opportunity” but when an athlete does it, they are “selfish” and they lack “competitiveness.” Also, unless the NCAA permits it, the athlete needs to sit out a year. Justin Fields to Transfer to Ohio State, What Impact will it have? As first reported by Jeremy Birmingham it appears Justin Fields will be signing with Ohio State after visiting there today. We all grew up hearing the legendary tone of Keith Jackson on ABC as we all tuned in to watch the Rose Bowl and start the new year off right. Now I’m only 24 so my earliest and favorite Rose Bowl memory has to be when Texas faced off against USC in 2006. Vince Young made his immortal run to the end zone on fourth down to give Texas the win. Coincidently it was also Jackson’s last time calling the Rose Bowl. 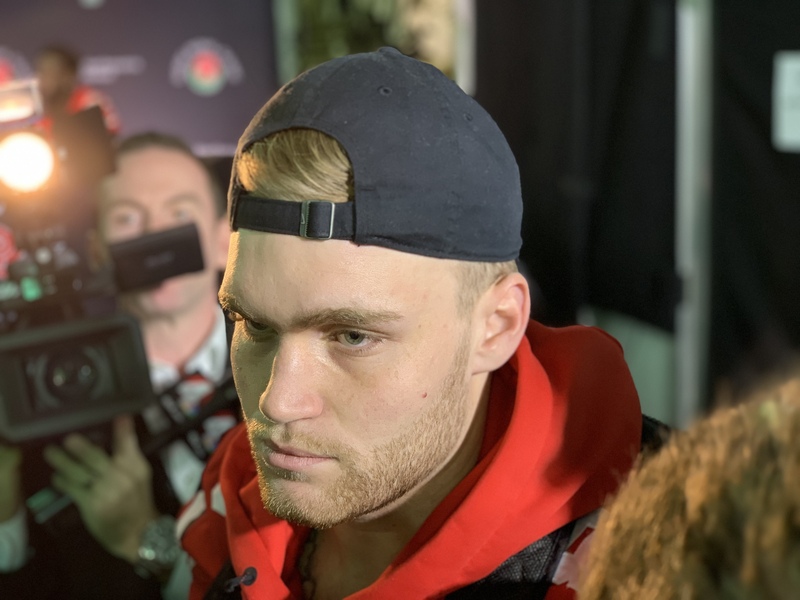 With The Justin Fields Rumors, What’s The Future Of Tate Martell At Ohio State? Martell’s move comes a week and a half after Justin Fields joined the Buckeyes as a transfer QB.